Provence is a region located in the southeastern part of France. 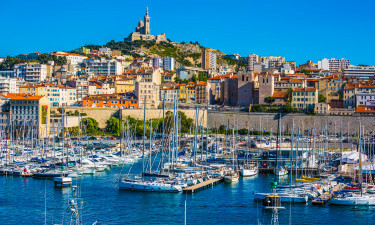 As it encompasses the famous French Riviera, it is a popular spot in terms of holiday camping sites. For more details, feel free to contact Lux-Camp. Provence has always maintained a unique cultural identity set apart from the rest of France due to its location. In modern times, it has become a tourist haven and many who desire true camping luxury will take advantage of the numerous locations. Its amenable climate and proximity to the Mediterranean Sea are two other distinct benefits. 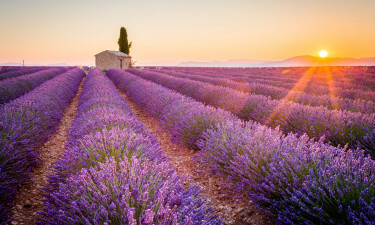 Why Should I Camp in Provence? Its location on the famous French Riviera. A mixture of Mediterranean and continental climates. A wide variety of holiday camping sites to select. An immersion into a unique culture. Le Val de Durance is located within the heart of the Luberon Nature Preserve. The numerous pitches offered are complimented by a lake of 4 hectares. A beach is found nearby while an on-site swimming pool is likewise offered. Although mobile homes are found here, bungalow tents and luxury tents are not available. Les Lacs du Verdon offers bungalow tent and mobile home rentals. It is surrounded by a large park interspersed with numerous oak trees and an on-site pool (equipped with water slides) is fun for the entire family. This luxury camping site is no less than 25 hectares while picturesque Verdon Lake is located a short drive away. Camping Bagatelle offers luxury camping at affordable prices. An impressive 227 pitches are located here. Year-round stays can be enjoyed while on-site amenities such as a supermarket and restaurants will suit discriminating needs. On-site bicycle hire is an excellent option for those who wish to explore the surroundings while the sea is located only 20 kilometres away. Many camping holidays will benefit from the proximity to beaches such as Saint Tropez, Plage de la Lave and the secluded Plage du Fortin. Provence abounds with nature. As it is located in the beginning of the Alps, many luxury camping sites provide excursions to rich pine forests and picturesque mountain views. Provence is known to be a warm and inviting region. Many foods are Mediterranean in their origin while there is a flavour of more central French cuisine. Fine wines abound and many reflect a lighter and drier taste than their robust counterparts. Some popular attractions are nearby cities such as Cannes and the natural ruggedness of the Calanques inlets. The Maritime Alps are the highest peaks within Provence and some holiday camping sites are found in this region. 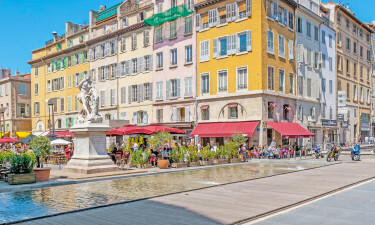 The Old Town of Nice and the architecture of the hotels found in La Croisette are other areas to explore.